Mallet 2-4-6-0T No. 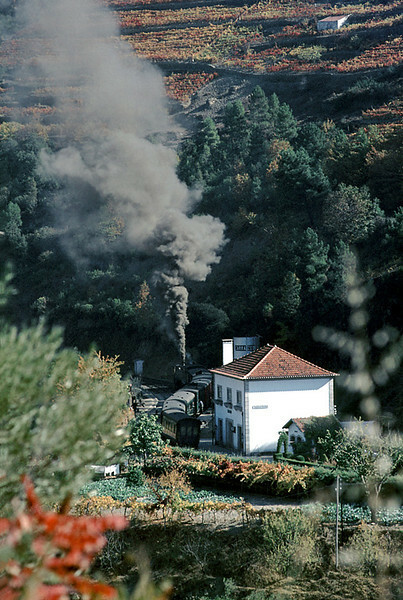 E207 has stopped in the station at Carrazedo and the fireman is piling on coal for the climb ahead round the many curves to climb out of the valley and on to Vila Real, where this train was due to arrive at 13:15. Thursday 5th November 1970. Slide No. 5812.